This page offers farmers, gardeners and consumers farmland, equipment and other opportunities. Listings will generally be posted for 60 days. Relistings are permitted. Postings on this page are a member benefit for current NOFA chapter members and NOFA Accredited Organic Land Care Professionals (AOLCPs). Email listing requests here. We have posted our bulb crates for sale on our facebook page. https://www.facebook.com/wickedtulips/ They are great for handling produce, or you can line them with newspaper and fill with compost or potting mix for growing containers. We are selling them for $4 each for up to 24, then $3 for 25 crates or more. These are tulip export crates, not “Lily crates” which are a bit deeper. 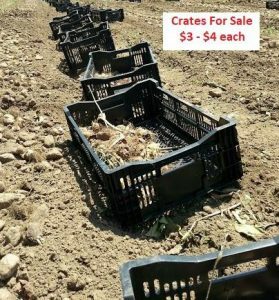 Dimensions= Width 15 ¾“ Length 23 ½ “ Depth 7 ½ “ The crates can be picked up at the farm at 90 Brown Ave, Johnston, RI by appointment only. Please email info@wickedtulips.com to schedule a pick-up time. After thirty years of Certified Organic vegetable production it is time to pass it on to new and younger people to carry on the work. The house is a 2 ¾ story colonial style built around 1870 that sits on 4.3 A. at 1080 Plainfield Pike (Rte 14A) in Oneco, CT, a village of Sterling, near the Rhode Island border. There are four greenhouse structures, a 26’x96’ oil-heated one for year-round in ground production, a 22’x72’ one for starting plants for the farm and for sale to gardeners, a 17’x48’ for drying onions and growing on young plants, and a 20’x96’ unheated high tunnel for overwintering crops and season extension. There are six plots of varied sizes adding up to about one acre of outdoor growing area. All of this is set up for drip irrigation. There is a well-insulated walk-in cooler in the cellar with a less than two-year-old LG air conditioner run by a CoolBot system. Potato storage is in the cellar, onion storage on the top floor, lots of bulb crates, wax boxes, hand tools, hoes, rakes, and so on. Included is an 18 hp tractor with bucket and rototiller, a Troy-bilt rototiller, a self-propelled brush cutter, a small manure spreader and a 3’x6’ wagon. A 2000 Ford van 250 in good shape and ready for markets with a 10’x10’ and a 10’x15’ pair of EZ-Up heavy duty rugged canopies with awnings, four tables and a roll bag stand. All that stores inside the van in cubbies. Included are two AC or battery-powered scales for market weight and sales. I have forgotten something, likely, so if interested come visit. All will be sold as is. $190,000. Call (860) 564-7987 or email : wayne@waynesorganicgarden.com. Aug 2018. Pipe benders are available for loan or rent for up to 7 days at a time. Free for NOFA/RI members, $10 for non-members. Learn more about NOFA/RI’s pipe benders here. Reserve pipe benders via email to nofari@live.com or call (401) 351-4633. Pick up and return pipe benders in Cranston. View instructional videos for using the benders or to order supplies, see Johnny’s Selected Seeds. Rhode Island Agricultural Mediation Program (RIAMP). 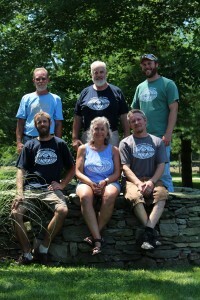 Through this program, we can provide mediations to producers who have received adverse determinations from the USDA or agencies of the USDA (for example, if RIDEM, as the accredited organic certifying agency under the USDA AMS National Organic Program, proposed suspension or revocation of organic certification) and also we can mediate credit issues with creditors and agricultural producers. Our website is http://www.cmcri.org/agricultural-mediation.html. Contact Erin M. Wright, Director of Operations, Center for Mediation & Collaboration RI at 401-273-9999. Wyandotte in Mattapoisett, MA on Wednesday afternoons. Apply to Mike. Church Green Farmers Market in Taunton, MA on Sundays. Apply via email or call 508-821-8358. Try a week or two free with no obligation. Would you like to grow veggies or herbs for your personal use but have no garden space? Silva Spirit Farm in Tiverton is now accepting applications for its Energy Exchange Greenhouse program. 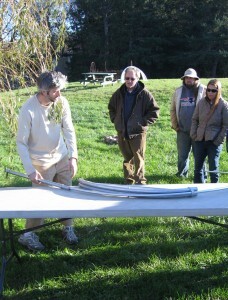 Offer a skill or talent to the farm in exchange for growing space in the farm’s hoop house. Call Carol Ann at (401) 624-1840 or email silvaspiritfarm@verizon.net. RI’s oldest farm composter uses diverse and local ingredients including fish and food scraps. Farm tours available. Learn more at the website or Facebook page. View the New England Farmland Finder website.View the New England Small Farm Institute website. Find farmland in Rhode Island at HouseHunt.com. Find available farmland in New York state here. If you plan to sell farmland, be aware of consequences associated with Farm Service Agency (FSA) programs. For example, to sell land that is enrolled in the Conservation Reserve Program (CRP), the buyer must agree to continue the enrollment. If the buyer does not continue the CRP contract, you might have to refund all of your CRP payments. Please speak with an FSA representative to reviewing any program implications before completing a farmland sale. View our Help Wanted page here.